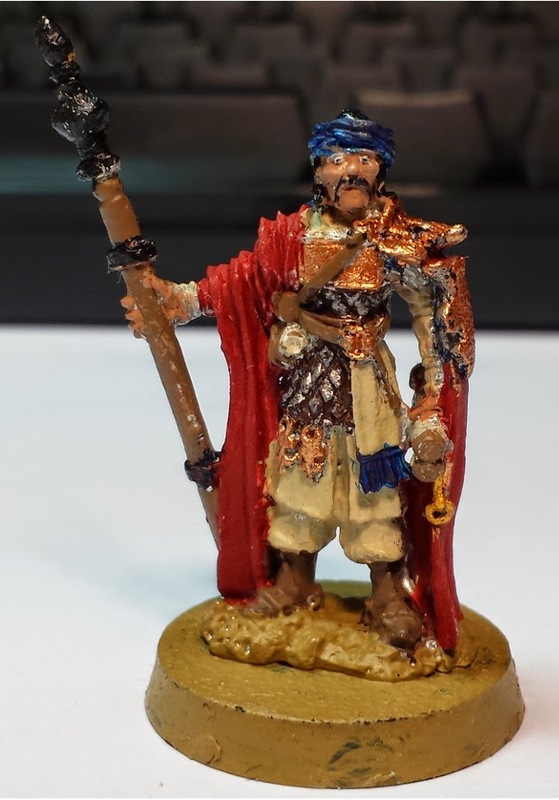 Adam created this Pragmatic Priest from Game 5 of the Al-Qadim, his name is Aalim ibn Khaldin. 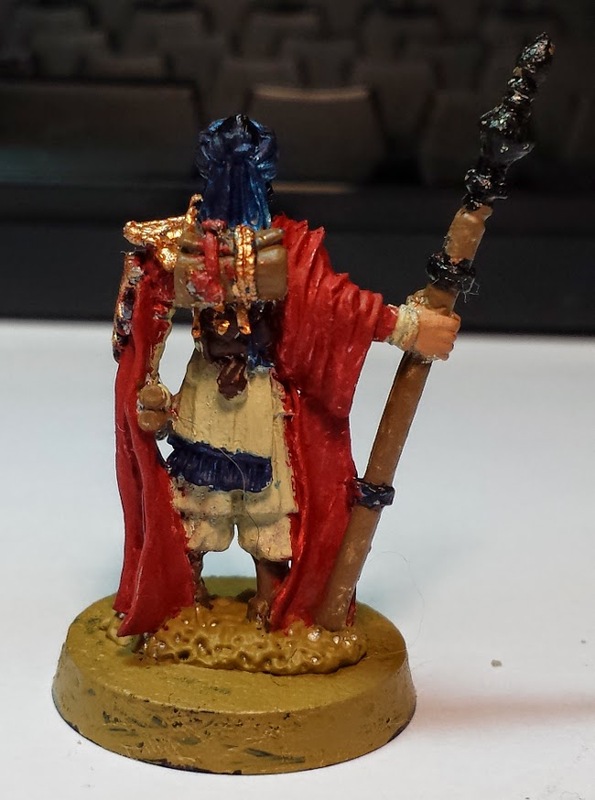 He is a priest of Zann the Learned, and lives in Kafra. His plan is to turn the small town into an intellectual oasis, but that is but a dream so far.